Since time is such a commodity right now, this newsletter will be short and to the point. While new shows have been announced for later in the year that I am truly excited about, and cannot wait to tell you about. I have to hold my tongue. What is happening though, is I will be joining the K-Town Funky Horns Thursday 4th of April at 8PM in the Baroque Room, for a bit of funky fun. It’s great to see the Funky Horns are back in town, and it’s a pleasure to be ask to play again. CK & the 45s will be at the Hill End Festival doing a special Hank Williams shows, and a one-off CK & the 45s show. This is a brilliant festival way out in the West where we belong. Please check local programs (PDF) for times and dates for our shows. You can find more info here. CK & the 45s will be playing their own show at 4:30PM on The Golden Stage, following the beautiful Smith & Jones. Then followed by the raw and ready Sweet Jelly Rolls. 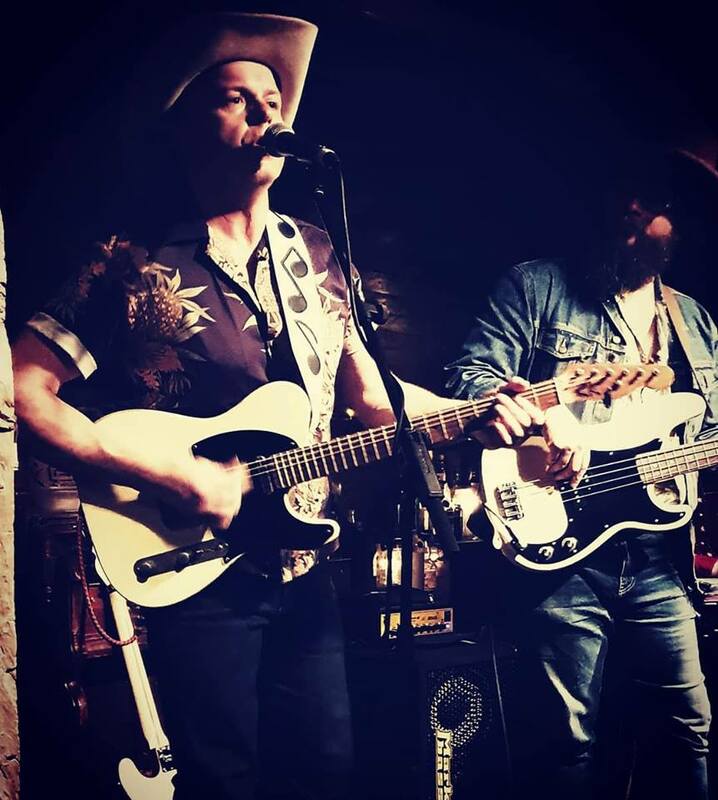 CK & the 45s will then be “Settin’ the Woods On Fire” at The Royal Hall on Saturday 13th April at 9PM with their Hank Williams bonanza. That following week I’ll be heading home to get back to the Ivanhoe in Blackheath with Rachael Brady & the Moonshine Special. Set to play the 18th of April from 6:30PM. Leading on to the 20th of April. CK & the 45s will be at a hoe down Private Party at Revesby Workers Club. One of my long time students is having their 60th there and it’s going to be a genuine Western Swing evening. 23rd of April, I’ll be playing guitar at the Royal Easter Show with Lynsey Mackay. We will be in duo mode, swinging some modern and classic country hits just as Jolene, Folsom Prison and more. After that, it’s a much needed, albeit short break before we begin learning and rehearsing for my next big show at the Sydney Opera House. Stay tuned for more news about that. On to the Gig Guide!